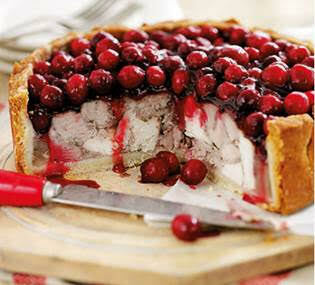 Create this impressive centrepiece for the festive season – it’s as easy as pie to make! 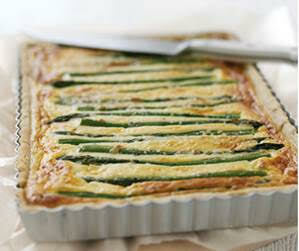 This very special tart celebrates the arrival of seasonal British asparagus and new potatoes in such a delicious way. Sift the flour and salt into a large mixing bowl. Use your fingertips to rub the TREX into the flour until the mixture looks like fine crumbs. 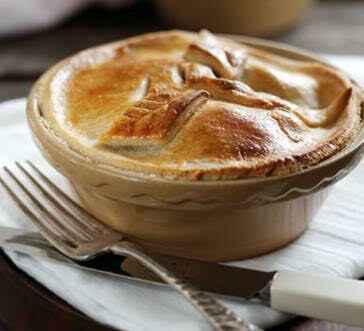 Add 4-5 tbsp chilled water and mix it in with a knife until the pastry clings together. Form the dough into a ball, then wrap and chill for 10 minutes. Roll out the pastry on a lightly floured surface and use it to line a 20x30cm (8x12in) oblong tart tin. Line with a piece of foil or greaseproof paper and baking beans and bake ‘blind’ (i.e. without a filling) for 15 minutes. Meanwhile, boil the new potatoes in lightly salted water for 15 minutes. Drain and cool the potatoes, then slice them and place over the base of the flan. Cook the asparagus in boiling water for 2 minutes, rinse with cold water, then arrange over the top of the potatoes. Beat together the eggs, crème fraiche and Parmesan cheese. Season. Pour into the flan case, then bake for 30-35 minutes, until set. Best served warm.